In almost every society, coming of age is important. The way it’s acknowledged may change based on culture, of course; sending a kid out to kill a jaguar with his bare hands might be equivalent to turning 21 and getting smashed while urinating on public property. Regardless, humans eventually undergo a physical and mental change into what we classify as ‘adulthood’. This process of growth has been explored at length in literature, film and probably even zoetrope. But video games haven’t really explored the topic much. What exactly can we learn from coming of age stories and from the games which have both successfully and unsuccessfully portrayed them? Let’s go on an explorative, soul-searching journey to find ourselves. The coming of age story can happen in almost any scenario: bunch of kids stuck on an island, children left to fend for themselves after an apocalypse, a wild teenage journey across the country, a trial that must be overcome by a kid (like a jaguar). The sky’s the limit. Regardless if it’s a Judy Blume book, Big or Toy Story, there’s a lot that you can do with the process of growing up, all of which can reach very different audiences. To understand what makes this theme so elastic, we need to dissect the conflict at the heart of the situation. The age one becomes an adult isn’t set in stone, and varies from culture to culture. That means the actual growth has to be an emotional one, classifying the core conflict as man vs. self. This can be left alone and kept as the sole conflict, but things can be made more interesting by throwing in other conflicts as catalysts. The physical action found in man vs. man or man vs. nature can not only add depth to the mostly invisible conflict with the self, but also adds in another layer of audience engagement. The best example of this yin and yang between conflicts would be the anime, FLCL. FLCL is about a schoolboy that has mecha of various size pop out of his forehead after being hit with a guitar by a mysterious girl. It’s a six episode series filled with a constant barrage of jokes, references and robot fights. Most of FLCL is symbolic. At it’s base, it’s a rather normal story about a young boy’s angsty struggle with puberty and his first sexual encounters with an older high school girl. It already makes for an interesting man vs. self narrative, but throwing in sprawling gunfights, kickass robot duels and all manner of visual symbolism makes for a much more entertaining and cerebral experience. When you compare this to weak JRPG cliches about heroes setting out on adventures to save the kingdom, it’s clear that we have our work cut out for us in the gaming industry. Legend of Zelda: The Wind Waker, for example, has a wonderful, world-travelling tale of adventure to tell, but it’s far from fleshed out. If you want a good JRPG example, there’s always Persona. Where in other JRPGs the only important measure of growth is how hard you can swing your buster sword, Persona games link character development with in-game strength. The actual focus isn’t growing up, but the emotional growth that a group of teenagers undergo in order to overcome an obstacle much greater than themselves. Perhaps one of the best video game example we available would be the decidedly Japanese, Catherine. Developmental cousin to the Persona series. 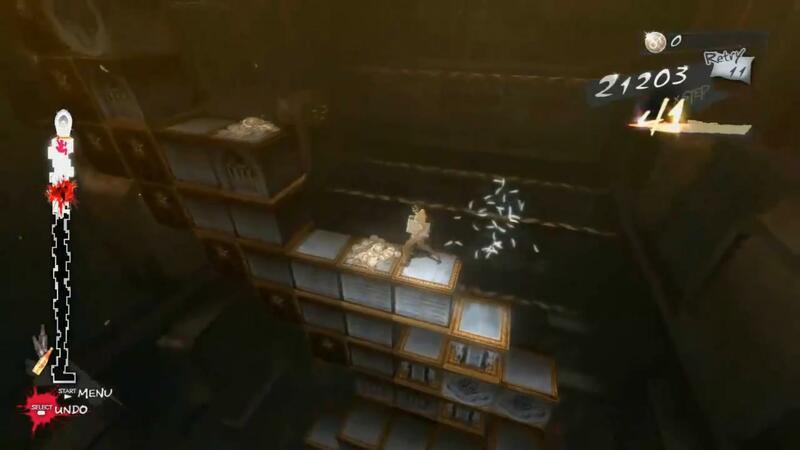 Catherine is a puzzle game in which you push around blocks in order to make stairs so you can exit the level. The story is about 32 year old Vincent Brooks, who must choose between marrying his long term girlfriend, Katherine, or attempting to relive the last moments of his youth with the seductive and freewheeling Catherine. Despite Vincent already being a grown man, he’s facing his own struggle with age. In this case instead of puberty, it’s a quarter-life crisis. The gameplay and narrative are kept comfortably apart, but the gameplay adds extra symbolism and conflict to the main story’s more anchored narrative. The two eventually merge and everything gets a little batshit mental. What do we take from our little backpacking trip around the human condition? Obviously it’s that Link needs to be an angsty teenager and Captain Falcon needs to freak out and buy a shiny red convertible. Or perhaps simply that the strength of coming of age stories is the character development. The process of maturing provides an effective template for character growth when set against most any backdrop imaginable. These ideas can be applied not only to a coming of age story, but any character arc. Complex and evolving characters, no matter what the type of game, add an extra layer of intrigue and engagement. From games to our own personal growth, everything can be made better with a closer look.